Shrien Dewani agreed to pay about £1,300 ($2,000) to a hitman for the murder of his wife Anni in South Africa, a court has been told. On the second day of the trial in Cape Town, Mziwamadoda Qwabe said he was asked to make it look like a hijacking. 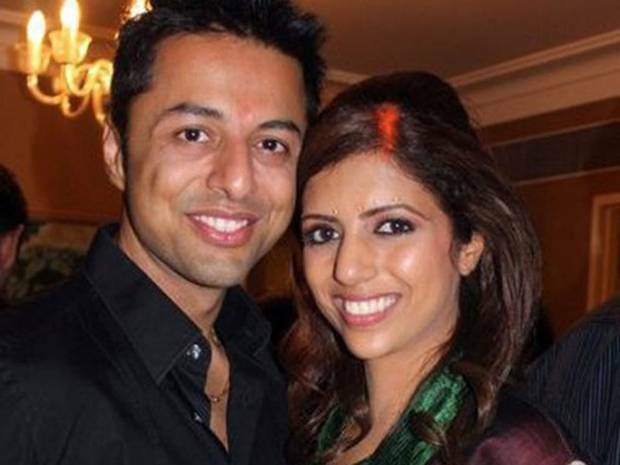 British businessman Shrien Dewani, 34, denies murdering his wife Anni, 28, on their honeymoon in 2010. The couple was held at gunpoint while being driven in a taxi through Gugulethu township near Cape Town. Mziwamadoda Qwabe told the Western Cape High Court that taxi driver Zola Tonga had told him “there was a husband who wanted his wife to be killed”. Shrien Dewani faces five charges, including murder and lying about the circumstances of Swedish national Anni’s death. Mziwamadoda Qwabe, from Cape Town, was sentenced to 25 years in prison in 2012 for the murder of Anni Dewani. Prosecutors claim Shrien Dewani conspired with him, and other Cape Town residents Zola Tongo and Xolile Mngeni. Mziwamadoda Qwabe, 29, told the court Tongo phoned him and said he had a job that needed to be done – that someone needed to be killed. He said Zola Tongo agreed to meet him the next day to discuss the murder, and a price of 15,000 rand was agreed. The pair then arranged to meet up with Zola Tongo’s taxi for the attack, during which Shrien Dewani’s phone would also be taken. He told the court the money was due to be left in a “cubby hole” in the vehicle which would later be split before the pair spent an evening “socializing”. He told the court Zola Tongo called him later and told him the route the taxi would take on the evening of November 13, 2010. Describing the carjacking, Mziwamadoda Qwabe said: “[Xolile Mngeni] had the gun. As it [Zola Tongo’s car] approached I got into the driver’s side. “[Xolile Mngeni] got into the passenger side and Zola got into the back. I saw in the (rear view) window a guy and behind me was a lady,” he said. “I ordered Zola to get out of the car. He told me the money was in a pouch behind the front passenger door. “I stopped the vehicle, I asked the husband to get out of the car. Mziwamadoda Qwabe told the court he was behind the wheel when Anni Dewani was fatally wounded. He said he was concentrating on the road at the moment Xolile Mngeni killed her. “I heard a gun shot. [Xolile Mngeni] said <<I shot the lady>>. Mziwamadoda Qwabe said he found the bullet casing then threw his gloves away. He told the court 10,000 rand was in the pouch and 4,000 rand was seized from “the husband”. Mziwamadoda Qwabe admitted he had lied in court at a bail hearing before he admitted his guilt over the murder. The court was told there had been no conversations with Zola Tongo about how Anni Dewani would be killed, only that it had to look like a hijacking. He told the court it was not decided who would strike the fatal blow, what weapon would be used, or where the killing would take place. On October 6, Shrien Dewani told the court in a written statement that his “whole world came crashing down” when his wife was found killed. The trial was adjourned until October 9.